Welcome to AutoStar Nissan of Boone! AutoStar Nissan of Boone is Boone’s premier new Nissan car dealer and automotive service center. 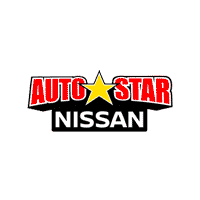 A proud member of AutoStar Family Dealerships, AutoStar Nissan of Boone offers customers a large selection of New Nissans and used vehicles, automotive maintenance and repair services, and genuine Nissan parts and accessories. It’s worth the ride to Innovation Drive.AutoStar Nissan of Boone in Boone, NC, also serving Wilkesboro, NC and Hickory, NC is proud to be an automotive leader in our area. Since opening our doors, AutoStar Nissan of Boone has kept a firm commitment to our customers. We offer a wide selection of vehicles and hope to make the car buying process as quick and hassle free as possible. If you would like financing options and you are in the market to purchase a new Nissan or used car or truck, we will provide assistance to help you find financing options that fit your needs! Whether you have bad credit, no credit, or are a first time car buyer, you can trust that AutoStar Nissan of Boone will get you into the car or truck you choose with professionalism and attention to your needs.